A newly released book, titled Life’s a Beach, allows readers to discover the beauty of South Africa’s beaches through captivating visuals and intriguing insights. Published by MapStudio, the book details information about various beaches along the coast - from Alexander Bay up and through to St Lucia. Artist and author Ann Gadd says the travel experience was amazing, and reinforced how much South Africa has to offer. 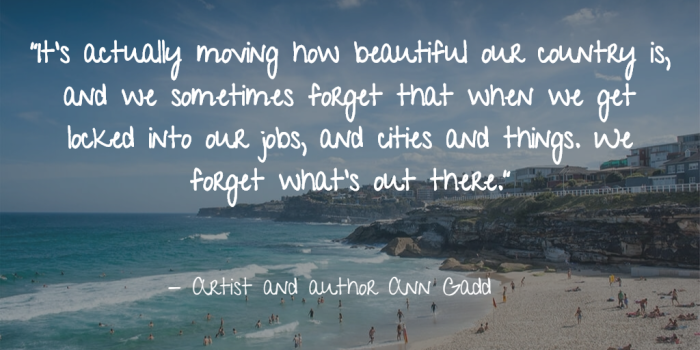 It's actually moving how beautiful our country is, and we sometimes forget that when we get locked into our jobs, and cities and things. We forget what's out there. Gadd was limited to 550 words a page and says it wasn't easy to encapsulate all the the wonderful descriptions in the book. The guide explores 9 500 kms of the best beaches, 465 towns and locations, with over 6000 images and all kinds of fun and informative facts. There's a wealth of information out there and people are willing to share. Overall, I've tried to encompass what you can expect from each beach on an average day. The book includes information such as safety protocols, great sundowner spots, handy tips, visitor activities and other unique experiences. She explains that she conducted research before her trips and updated her findings when she reached the respective shores. Gadd, who enjoys water sports and outdoor activities, stayed in trains, tented camps and other types of interesting accommodation. She describes her wild adventure and urges locals to purchase the book at major retailers such as CNA and Exclusive Books, or from MapStudio publishers.